Day at Refugio Beach. 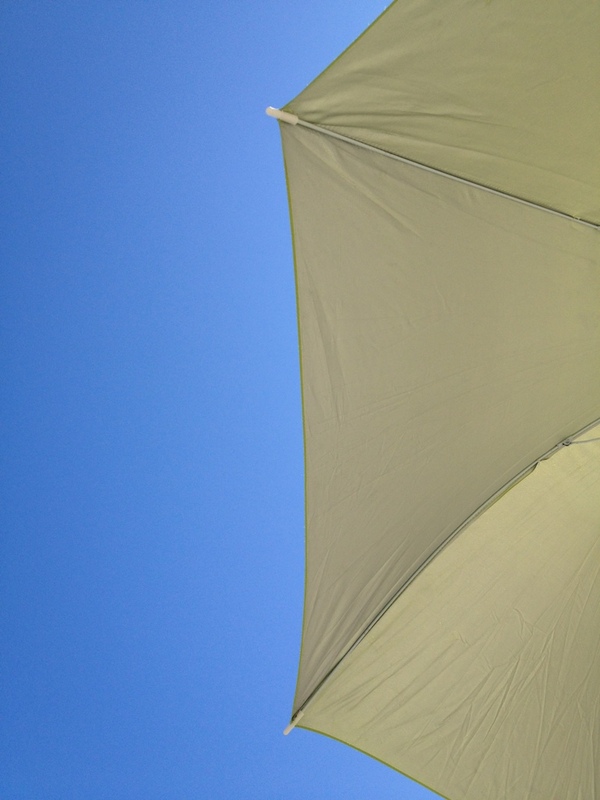 Looking up and saw an interesting contrast of colors between the umbrella and the blue sky. Taken with my iPhone 4S.